Cloughbane Farm is a prepacked meal supplier to Henderson Group. The Robinson family has been farming in Cloughbane for around 150 years and is now in its fourth generation. The family recipes have won many coveted awards in recent years, including coveted ‘gold stars’ at the Great Taste awards. 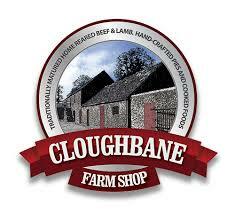 Cloughbane Farm Shop’s range of award winning ready meals are available in Henderson Group stores across Northern Ireland.